Successful brands need to convince consumers that they carry a different image and value from other competing products. Today, the use of celebrity advertising for companies has become a trend and a perceived winning formula of corporate image building and product marketing. This phenomenon is reflected by the recent market research findings that 8 out of 10 TV commercials scoring the highest recall are those with Celebrities’ appearances. Industry research reveals and re-establishes that a Brand must always keep in mind that the objective is to build the brand and not the celebrity. As companies invest large sums of money in celebrity endorsement contracts, any celebrity endorsement relationship must contribute to larger marketing strategies. Accordingly, campaigns involving celebrities are believed to bring more positive results if they are properly integrated than traditional non-integrated campaigns. Studies on Celebrity engagements reveal, consumers form parasocial bonds with favored celebrities who shape their lifestyles, attitudes, and behavior. Driven by the need for achievement and lifetime pursuit, consumer’s aspire to mimic Celebrities as well as live the successful and glamorous lifestyles portrayed in the media. Consumers who desire to be the likes of the celebrities gratify their urges through sub-conscious efforts to build and maintain a relationship with the celebrity. Marketers focus on this. What aspects should Brands keep in mind when working with a Celebrity? We explore the positive impact of celebrity endorsement on brand image and find out the most prominent factors those play the key role in the success of an endorsement. While analyzing the major factors that are having maximum impacts of successful endorsement, the followings are found out that before any brand signs on a celebrity, they should consider three main aspects. Attractiveness of the celebrity:This principle states that an attractive endorser will have a positive impact on the endorsement. The endorser should be attractive to the target audience in certain aspects like physical appearance, intellectual capabilities, athletic competence, and lifestyle. It has been proven that an endorser that appears attractive as defined above has a grater chance of enhancing the memory of the brand that he/she endorses. Credibility of the celebrity:This principle states that for any brand-celebrity collaboration to be successful, the personal credibility of the celebrity is crucial. Credibility is defined here as the celebrities’ perceived expertise and trustworthiness. As celebrity endorsements act as an external cue that enable consumers to sift through the tremendous brand clutter in the market, the credibility factor of the celebrity greatly influences the acceptance with consumers. Meaning transfer between the celebrity and the brand: This principle states that the success of the brand-celebrity collaboration heavily depends on the compatibility between the brand and the celebrity in terms of identity, personality, positioning in the market vis-à-vis competitors, and lifestyle. When a brand signs on a celebrity, these are some of the compatibility factors that have to exist for the brand to leverage the maximum from that collaboration. Even though these three major principles must be adhered to by companies, practically it might be difficult to find celebrities that satisfy all these three conditions. Depending on the nature of the brand and the kind of product being used, companies can selectively emphasize one factor over the other. The correct way to choose a famous person is going to depend, first of all, on whether there is a congruency between that person and the brand that you are advertising. This is essential for the strategy to work out. Credibility, trust and the widespread perception by consumers that the famous person is an “expert” are the key variables for selecting a celebrity representative. The famous personality must be attractive not only in physical terms but also in terms of his or her level of regard and familiarity [among targeted consumers]. Fame, along with familiarity, lead to a more positive reception by consumers. If the famous person is disliked, the advertising message will lose effectiveness. The research shows that a famous person is capable of raising the price of the product (Note: Studies have proved that consumers are prepared to spend up to 20% more on the same product as a result of who is representing it.) that he or she advertises when it comes to products that consumers consider to be attractive and appropriate as gifts. Research your Consumer/Celebrity Fit – Find out who your consumers are, what they like and what their social and buying behaviors are. There are industry consumer and celebrity research services that help streamline this process. Research options like E-Scores, Q-Scores, Davie Brown Index and our very own TL Index (TLI) are incredibly valuable tools when finding the right marriage between Brand and Celebrity. With the hefty investment, Brands & marketers should look to strategic market research to make Data-driven decisions on which Celebrity to engage. Define your Goals & Budget – We all wish Lady Gaga would tweet about us, but unless you have the budget this will only be a fantasy. The reality is that Celebrity marketing takes revenue, incentives/rewards, time, and energy to coordinate a successful campaign. The influence of Celebrity over Brand perception and purchasing power is undeniable. Engaging Celebrities can be an extremely rewarding process for any Brand. The other main thing is to make sure you define what your expectations are from this campaign. Too often we think of the campaign and all the big ideas, but Brands don’t stop to think… “What do I want out of this?” Once you understand your goals and budget, it will be a lot easier to be realistic with your Celebrity Driven marketing initiatives. 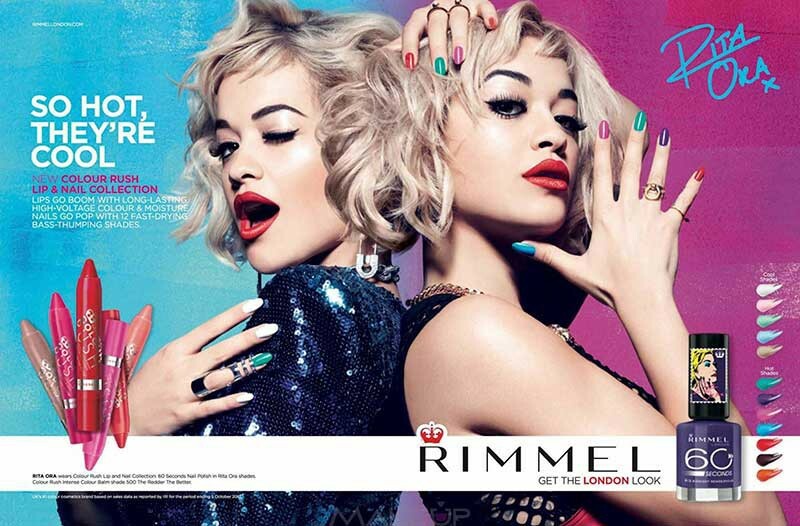 What are the benefits on the use of Celebrity Based Campaigns? Celebrity Power: Can less be more? DOES MY BRAND NEED CONSUMER RESEARCH? If you’re ready to make a change, simply click to begin.